The Great Depression didn't prevent families from having babies -- including me, in my case to middle class parents in Kokomo, Indiana. A typical small town boyhood followed this event -- paper routes, basketball, teen dances and too many greasy French fries. After surviving Wabash College with a BA degree in English, Uncle Sam offered me a job in the Army Security Agency, and I spent most of the next 3.5 years with a gun and a guard dog on the East/West German border. The GI Bill provided me a post discharge party at The Free University in Berlin until I decided to get serious about my life. This meant migrating to Chicago and qualifying as an investment advisor. No complaints, as my business card now reads: "First Vice President" for a major national brokerage firm. Between phone calls to clients, I co-announced and wrote the first market reports on TV before moving to radio for many years. Although showbiz was both profitable and fun, a bigger high came with checks from publishers and producers who took a chance on my stories and screenplays. 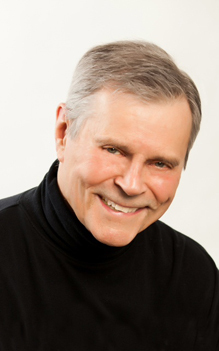 Writing has been a passion since college, which resulted in the publication of a number of short stories, then a novel, The Satyr Candidate, and several screenplays. Some screenplays were optioned by independent producers, including Don Johnson Productions and Graham Henderson, the associate producer of Hoosiers. My recent novel, THE LAZARUS CONSPIRACIES, a mystery/thriller, is an adaptation of screenplay, which was a top ten finalist in the Illinois/Chicago Film Competition. Published by Savant Books and Publications as a soft back, it received rave reviews from the Huffington Post and an internationally acclaimed award at The 2015 Pacific Rim Book Festival in Hollywood. Savant has recently released, THE GUMSHOE, a mystery/thriller set in Chicago circa 1947. When I can pry my fingers off my laptop keyboard, I find time to read, watch vintage flicks, hit tennis balls, bike and swim. I am currently semi-retired and enjoying good health, thanks to my wife and true love, Kay, who keeps a loving eye on my diet. No more greasy French fries! Friend me on Facebook! 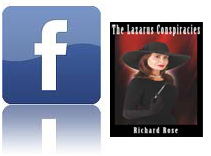 Like my book "The Lazarus Conspiracies" on Facebook! 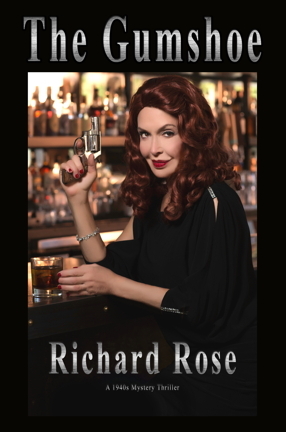 Like my new book "The Gumshoe" on Facebook!